It’s a 7:00 pm on a Tuesday and NE Alberta Street is quiet, but Community Cycling Center is buzzing with energy. Twenty volunteers have come out for Volunteer Night to work on donated bikes for the Holiday Bike Drive, an event where about 300 children will earn bikes. The Volunteers have come from all walks of life and their experience with working on bikes ranges from zero to having owned a bike shop for 25 years. The atmosphere is a friendly one with those with more experience helping those with less. It’s certainty a setting where questions are encouraged and learning is the aim. An anonymous donor will donate $10 per person that shows up to Volunteer Night from October 6th through December 1st. Come out! Volunteer Night is every Tuesday at 7 pm. All are welcomed regardless of bike mechanical skills, but all new volunteers must participate in an orientation first. 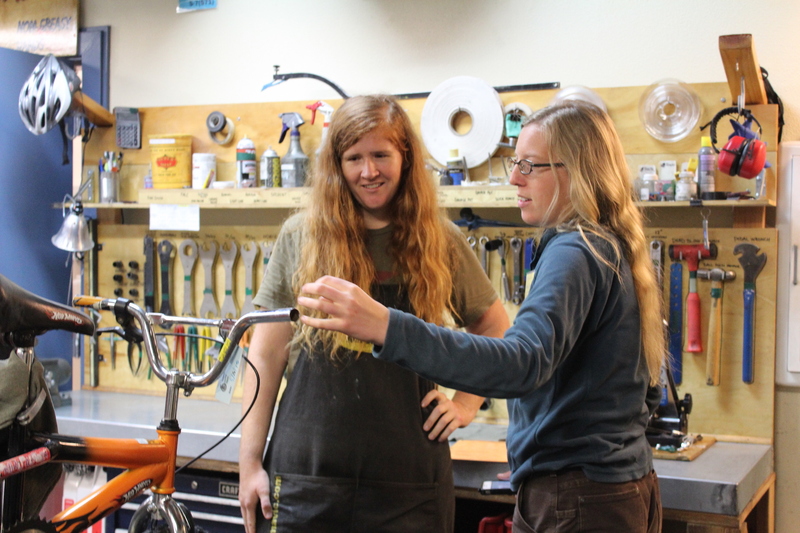 You can attend volunteer orientation on Tuesday, 11/3, by RSVPing to volunteer@communitycyclingcenter.org.